In writing Financial Recovery in a Fragile World, my co-authors and I have concluded that if there is any thing the world has learned from the recent financial crisis it is the significant role debt has played in causing the turbulence. Today, many developed countries are left with a debt-to-GDP ratio that is well in excess of 85%, the point at which, researchers tell us, debt becomes a drag on economic growth. In Canada, we tow the line at 84%. Mired in debt, it is very difficult for governments to continue to spend their way out of the crisis. Debt, has tied the hands of government leaders looking for resolutions to today’s malaise, and worse, has threatened their ability to fund the cherished services many have counted on for their future. So, we have a triple whammy to contend with in our collective financial recovery. Governments awash in debt cannot spend their way out of the downturn; concerned individuals — worried about jobs, asset values and rising personal debt — are pulling in their horns to save rather than spend. And, this fear is not unwarranted: about 30 million people have lost their jobs globally. Put in perspective, that’s just under the entire the population of Canada. Private businesses, to which we look for new economic growth, are obviously effected by this. In Canada a slowdown of economic growth stems in particular from the U.S. recession, and more broadly from the negative effects of global economic weaknesses, which have reduced exports and manufacturing activities. Always a challenge, businesses must work hard to restore equity to balance sheets and continue to innovate into a new and unpredictable world economy, all the while credit and venture capital is increasingly hard to come by . If revenues vanish, they are forced to react quickly to reduce production, cut spending and employment. It’s Your Money. Your Life. In this time of sluggish growth, it is important to manage your personal debt. On way to do so is to correct errors and omissions on prior filed tax returns before the end of December. An additional and unexpected refund could help with Christmas spending or better, an RRSP contribution. Evelyn Jacks is President of Knowledge Bureau and has recently been named one of Canada’s Top 25 Women of Influence. Knowledge Bureau has just published new courses on debt management, updates to cross-border taxation issues and a new library of personal, corporate and GST tax matters to take recent court cases into account. For more information call 1-866-953-4768. 1. In 1946 when bond yields were at their current 2.5% level, 75% of their value was lost in the following 25 years in Britain. 2. When investors hurried into gold in its last peak in 1980, the price fell by 2/3 in the next 20 years that followed. 3. By the year 2000, when the world was highly exuberant about the internet, the dividend yield on American equities was just one per cent; and the annual real equity return over the next 10 years just under that, .08%. 4. In 2011, despite strong growth in India and China, emerging equity markets fell 23% in the third quarter; resulting in those shares trading on a discounted valuation compared to developed-market counterparts. In Canada, we are comforted by strong banks and a strong, stable real estate market. Today residential housing development represents about 20% of the domestic economy, according to the Canada Mortgage and Housing Corporation, and rising real estate values continue to drive consumer confidence. What’s noteworthy, however is that residential mortgages are the biggest single asset on Canadian bank balance sheets, according to an October 15 article by Postmedia News. What happens if the real estate bubble bursts? What could make it burst? Wealth preservation seems to be the name of the game today, but an additional issue is this: even if we are great savers, what will our current dollars buy in the future? If we hold on to the wrong things; we face the winds of financial erosion. Those winds include the potential for recession, deflation, inflation and taxes. Continuing to make new money is a strong defense, and then carefully investing it into the future, to offset that erosion, is also a must. This is easier if you have a stable income from employment or self-employment; much more difficult if you are living on a fixed income in retirement, although a savvy eye to investing in income-producing assets is important; so is an indexed pension plan. Managing tax and debt loads is an important part of every strategy because it preserves capital today, maximizing returns on investments. It is also something we can directly control. Where do you invest the money? In writing Financial Recovery in a Fragile World, my co-authors, Robert Ironside, Al Emid and I have attempted to provide a macro overview of the causes for the dilemma we find ourselves in, and how investors and advisors can use a framework for thinking about preserving and building wealth going forward. We continue to be of the belief that financial recovery begins at the micro level; with financially stable households. It’s Your Money. Your Life. It makes sense to get your financial affairs in order in this climate. We are not out of stormy seas yet, so we need to manage as much risk as possible as we tack carefully forward. Managing debt loads, especially mortgage debt, is important. So is tax efficiency. Evelyn Jacks is President of Knowledge Bureau and has recently been named one of Canada’s Top 25 Women of Influence. 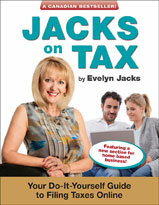 Her book, Essential Tax Facts, 2012, is at print and she has just returned from a national tour, discussing the financial recovery with an inter-advisory audience at the Distinguished Advisor Workshops November 2 to 10. Where should your investment advice come from? According to a recent survey by Cisco’s Internet Business Solution Group, (March 30, 2011), half of those under age 50 use social networking for their investment advice. That’s a staggering number. Yet using the internet to make important financial decisions and then execute them without proper assistance could be a costly solution to your investment questions. It makes no sense to take investment advice from anyone you don’t know and trust especially if they don’t understand your investment needs and objectives. That’s the response to the question “Should I accept investment advice offered over the internet: by The Canadian Securities Administrators, who have published a booklet on the subject, entitled “Investing and the Internet”, (http://www.osc.gov.on.ca/documents/en/Investors/res_investing-internet_en.pdf). Fraud, in fact, is an increasing problem. Stats Canada reported on a 2009 General Social Survey on Victimization. Seven percent of adult Internet users in Canada, age 18 years and older, reported that they had been a victim of cyber-bullying at some point in their life. Seventy-three percent of those people reported receiving threatening or aggressive emails or instant messages and 8% had their identity assumed by someone sending threatening emails. In addition, the survey showed that amongst those who used the Internet in the 12 months prior to the survey, 4% reported being the victim of bank fraud; that is, reporting incidents where credit or debit cards (or information from them) were used from an Internet source to make purchases or withdraw money without authorization from the cardholder. It’s Your Money. Your Life. Why take a chance? When it comes to making financial transactions of any kind over the internet, it’s prudent to speak to your banking representative, or in the case of your investment transactions, a registered dealer or licensed investment advisor. Evelyn Jacks is President of Knowledge Bureau and has recently been named one of Canada’s Top 25 Women of Influence. She has this month completed work on her 48th book, Financial Recovery in a Fragile World, with co-authors Robert Ironside and Al Emid, and has just returned from discussing the financial recovery with an inter-advisory audience at the Distinguished Advisor Conference November 13-16 in Palm Springs.